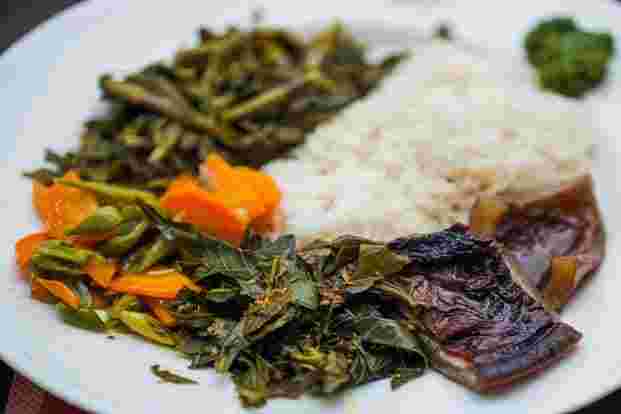 There are many ways to look at the tribal cuisine of the North-East, and the simplest way in Arunachal Pradesh would be a gastronomic journey from west to east. In terms of ethnicity, Arunachal Pradesh is more like a country than a state, with 26 recognized distinct tribes, several sub-tribes and borders with China, Bhutan, Myanmar, Assam and Nagaland. Many tribes are believed to have migrated here several generations ago from present-day Tibet, Myanmar and even as far away as Mongolia. All this diversity naturally spills over into the cuisine. In western Arunachal and the Buddhist tribal areas bordering Tibet, like Mechukha, the cuisine too is almost Tibetan, with hand-made pastas like thenthuk, thukpa, noodles, momos and chang (hot millet wine). 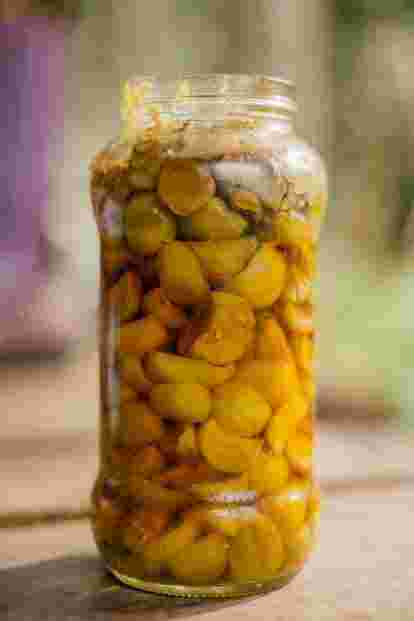 Ghee, butter and cheese are distinctive ingredients though the cuisine in Arunachal has a greater diversity of ingredients since the state is a lot greener and bio-diverse than the Tibetan Plateau. The star ingredient in many meat and vegetable stews here is churpi, a cheese which can range from rock-hard and bland to mild and paneer-like, to blue, hard, smelly and complex, like Roquefort. While Indo-Tibetan cuisine of the Monpas, Membas and Sherdukpen tribes involves minimum spice and almost no frying, it is by no means easy to cook. 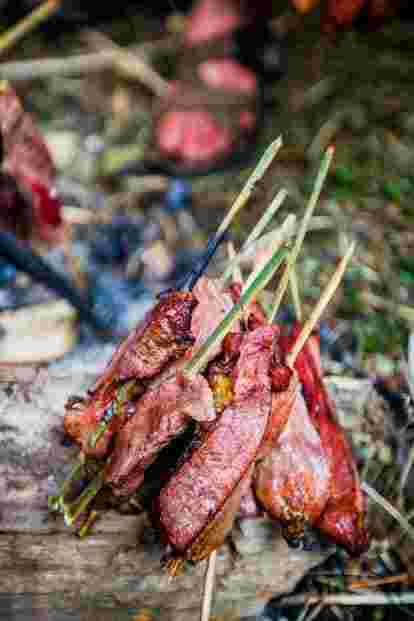 Delicacies like the corn thukpa stew of the Monpas, cooked with corn and legumes, smoke-dried yak meat and bone, can take several hours to prepare. Flat pastas like thenthuk can only be hand-rolled, much like the best Italian fare. In fact, one theory about the origins of Italian pasta traces its beginnings to people belonging to the region between present-day North-East, Tibet and China. Another highlight is the superb corn wine of the Sherdukpen tribe. Central Arunachal is somewhat homogenous in terms of cuisine. The animist Tani tribes (Adis, Galos, Nyishis, Tagins, Apatanis, Mishings), who trace their ancestry through vivid oral records to Abo Tani, their legendary “father of all mankind", have traditionally never used dairy, oil or sugar. Their food is either raw, roasted or stewed with fermented bamboo shoot, locally known as ikku/ikung, typically with lots of chilli, and cooked on a wood fire, giving it that delicate smoky taste. Expect to be offered all sorts of strange meats and wild plants. While these tribal stews might seem a bit too subtle and nuanced for the typical Indian palette, the accompanying spicy chutneys and dips go in a totally different direction, and the lack of spice in the main dishes ensures a focus on freshness and the quality of ingredients. Fermented bamboo shoot is apparently an acquired taste, but I personally loved it from day one. Apong, the local organic home-made rice and millet wine, is the best you will find anywhere in South Asia. There’s even a tapioca wine! As you head east, the food gets even more gastronomically interesting and diverse; barebones tribal cuisine dissolves, and begins to flirt with the more complex Thai-Burmese flavours of Tai Khamti and Tai Singpho cuisine, which use a greater variety of herbs. If gastronomic variety is your thing, then your culinary trip through Arunachal should begin in this melting pot in the east, even though the central and western parts typically have more dramatic landscapes and untouched cultures. The Tai Singphos, for example, claim to have hundreds of recipes for dry fish alone. The Tai Khamtis whip up an amazing variety of dishes with the local sticky rice, from fried sticky rice biscuits to desserts using jaggery. I personally prefer the plainest of them all, khao lam—sticky rice roasted inside a bamboo hollow until it takes the shape of a tube, which is then cut into little sushi-like coins. It’s delicious enough to eat by itself. 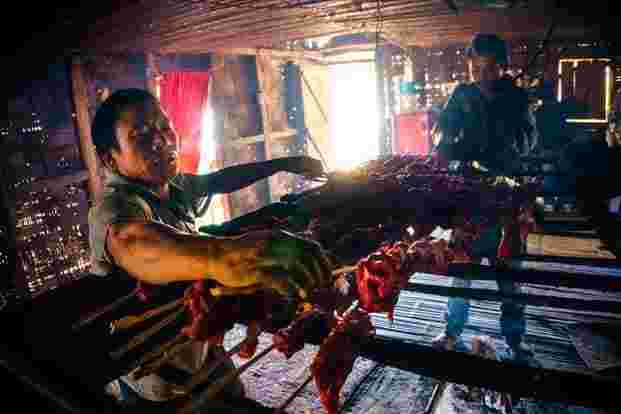 The Naga tribes of eastern Arunachal, like the Wancho, make an amazing Naga-style pork. The Nocte tribe prepare a rice wine called jumin which is not only delicious, but also healthy and medicinal. Yu, the grain wine of the Idu Mishmi tribe, can range from really milky and starchy to highly sweet and potent. Well-made yu gives no hangover whatsoever. These days, with different tribes experiencing each others’ cuisines and mainstream Indian styles, all these cuisines are mixing, which isn’t a bad thing by itself. What is worrying isn’t outside influence, but the entry of oily and spicy junk food, and reduced availability of forest produce and fresh wild greens, which are key parts of the cuisine. In general, eating patterns are being homogenized. While Arunachal Pradesh still has close to 80% forest cover, deforestation is accelerating. Sudden urbanization has been disconnecting people from their indigenous wild ingredients, and inorganic produce from outside the state is flooding the market, replacing the organic, higher quality indigenous vegetables and herbs. Many unique ingredients are going extinct, and many locals themselves have been choosing factory alcohol over the organic, delicious and healthy grain wines. We are what we eat, and belonging to a tribe is about maintaining a connection to nature, ancestors, community and the land. While tribal people are traditionally rooted in land and the wilderness, most of us city dwellers have lost our bearings several generations ago, and tribal people could now be heading down the same road unless we, as outsiders, demonstrate our genuine appreciation for their culture. My personal journey into Arunachali tribal cuisine began with an interest in wild foods, but tribal food for me has been more than just about ingredients and taste; it has been a slow, deep gastronomic journey into the forest and learning from these amazing communities where people love and smile so easily, coexisting with nature. In this environment, all the flavours began to fall into place on their own.